CED offers Teledyne Dalsa vision systems that provide standalone cameras for inspection, but can also easily integrate with Rockwell automation systems. Vision systems can decrease thousands of man hours needed to inspect products. They can look for flaws, measure dimensions, and be crucial in pick and place operations for locating products in two and three dimensional space. With the ability to reduce scrap from quick, precise inspection as well as reduce man hours, customers have seen ROIs as short as 2 weeks! Teledyne has found solutions ranging from differentiating curves of products with microns of difference to inspecting mile long welding seams to measuring 30ft sheets of steel. 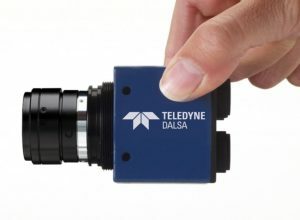 With such a range in offering, CED and Teledyne Dalsa can find you the cost effective solution whether you need to process an image every few minutes to thousands of times a second. With Teledyne Dalsa’s easy to use iNspect program, operators can add new products in a couple minutes rather than several hours. 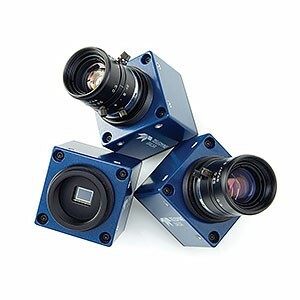 The 44mm cube frames and IP67 rating allow these cameras to go nearly anywhere you need them. Contact your local Automation Technical Consultant at CED today to find out if a vision system is the solution for you.